If you have the same problem with this user, here is your luck. 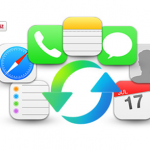 Because, now you can have a safety copy and view the backup files from your iPhone 4 even if you forget your password or your iPhone 4 breaks down. Keep reading this article and you will gain a lot. 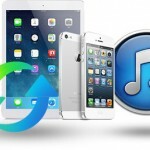 To copy and view backup files from the locked iPhone 4, some people may hold the idea that he could use iCloud or iTunes to restore and backup his iPhone. Yes, normally, we could use this way but now the screen is not working and he had no access to iTunes backup files. Plus, with iTunes backup, he is unable to view the contacts, photos, messages and other data. How to do? Here you go.You need to be in favor of the third party software. 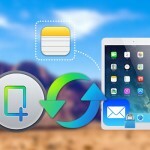 iFonebox is a great iOS data recovery to solve this issue. More about iFonebox. 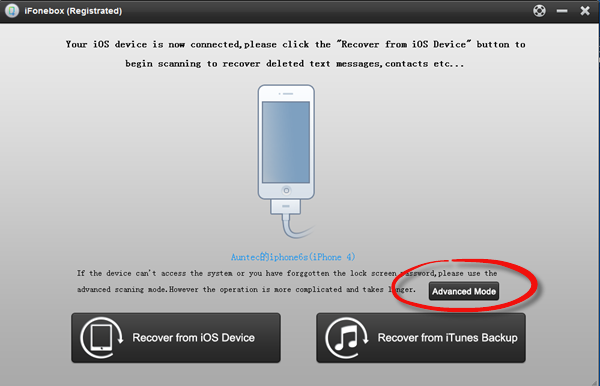 How to use iFonebox copy and view backup files from locked iPhone 4? Download and install it. There are two versions: Windows and Mac. BTW, there is free trial which is helpful to check whether this software can help you with your problem. Run the program. Choose Advanced Mode. If the device cannot access the system or you have forgotten the lock screen password, you can choose to use the advanced scanning mode. It takes longer than the normal scanning mode but it solves locked iPhone problem. 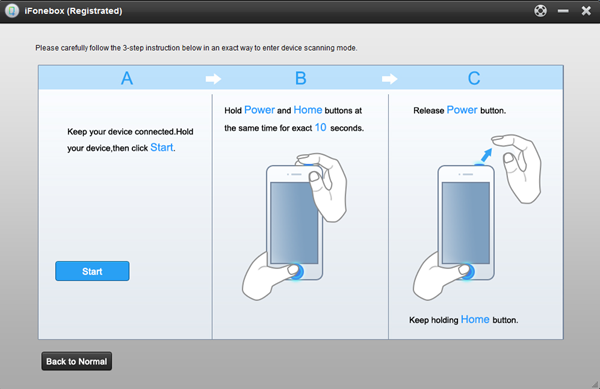 Follow next instructions to enter device scanning mode. Keep your device connected. Hold your device and then click Start. Hold “Power” and “Home” buttons at the same time for exact 10 seconds. Release “Power” button. Keep holding “Home” button. Preview and select data to copy. After scanning your iPhone4, all your data including messages, contacts, photo stream, camera roll, calendar, reminders, voice memos, safari, notes, call history, message attachments. All data you can preview and select, including your deleted data. You can choose all the data and transfer them to your PC in one file. Pretty convenient and professional. Next time when you meet with the password problem, don’t be anxious. 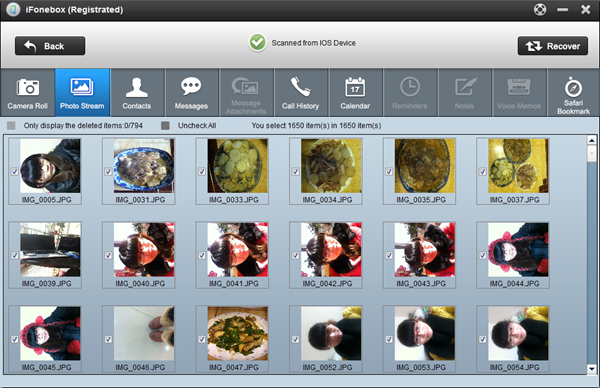 With iFonebox, you can copy and view your files easily.